Celbiologie 1 samenvatting This document contains a summary of all the lectures and additional information from the book. It is a summary of cell biology 1. BLG1603 PRACTICAL THESE ARE THE PRACTICAL NOTES FOR BLG1603. THEY WILL ASSIST YOU WITH YOUR PRACTICAL WORKBOOK QUESTIONS AND EXAM PREPARATION. Summary Experimental Cell Biology I Summary Experimental Cell Biology from the Minor courses Biomedical Sciences and Neuroscience. Contains pictures. Summary BBS 1001 Summary of course BBS1001, the LEGO bricks of life, for first year biomedical sciences students at Maastricht University. LIFE305 Cell Signalling in Health and Disease - Redox signalling Lecture focussing on reactive oxygen species (ROS) production by NAD(P)H oxidase, xanthine oxidase and mitochondria, the role of antioxidants and antioxidative pathways (bacteria: OxyR, mammals: Keap1/Nrf2), pathways of ROS clearance (superoxide dismutase, catalase, glutathione), the effects of ROS (mitochondrial permeability transition/MPT, lipid peroxidation, changes in the ratio of oxidized vs reduced gluthatione, protein carbonylation), techniques to measure ROS and antioxidant activity (N-acetylcysteine, MitoQ10, dihydrorhodamine, mitoSOX) and a little bit of information on reactive nitrogen species (RNS) e.g. nitric oxide. 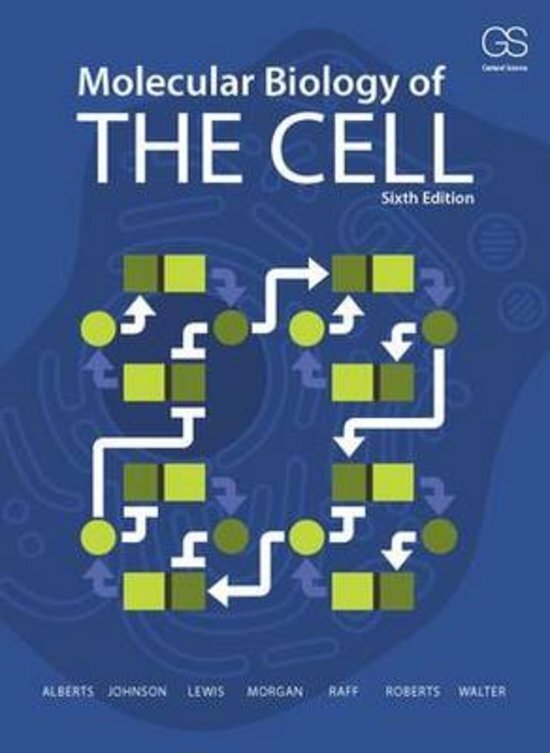 On this page you find summaries, notes, study guides and many more for the study book Molecular Biology of the Cell, written by Bruce Alberts & Alexander Johnson. The summaries are written by students themselves, which gives you the best possible insight into what is important to study about this book. Subjects like Biology, Cell, Chromatin, Cell Physiology and Genetics, Cell signaling, Cells, Cellular & Cellular respiration will be dealt with.